Posted January 18, 2011 in Darkseid, James Harren. 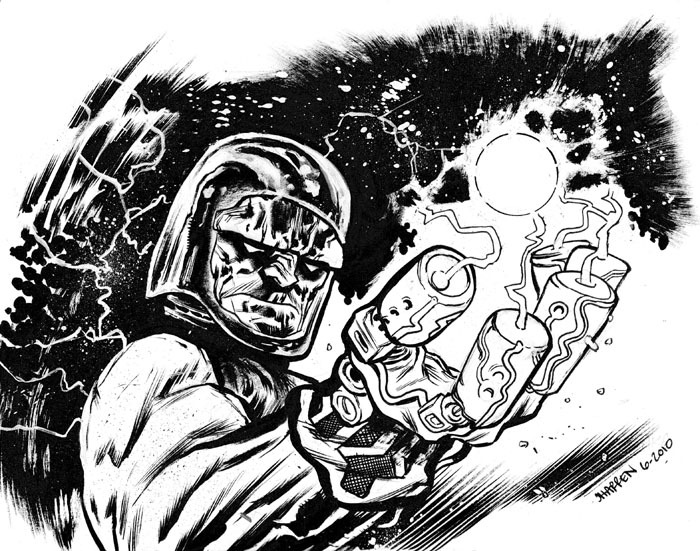 Now that’s one way to boil an egg, Darkseid by Boston based artist James Harren. James’ comic credits include Heralds and X-Men: Serve and Protect for Marvel and Santa Claus vs. The Martians for Image. You can find a wealth of comic pages, portfolio pieces and commissions at James’ DeviantArt page plus some more experimental work at his blog, Pregnant Void.